Editor’s Note: The following text is a dramatic retelling of actual events it is based on painting lore, hearsay, a BFA, a few assorted books and television. The tattered remnant of the Monday June 4th 1962 Volume 37, No. 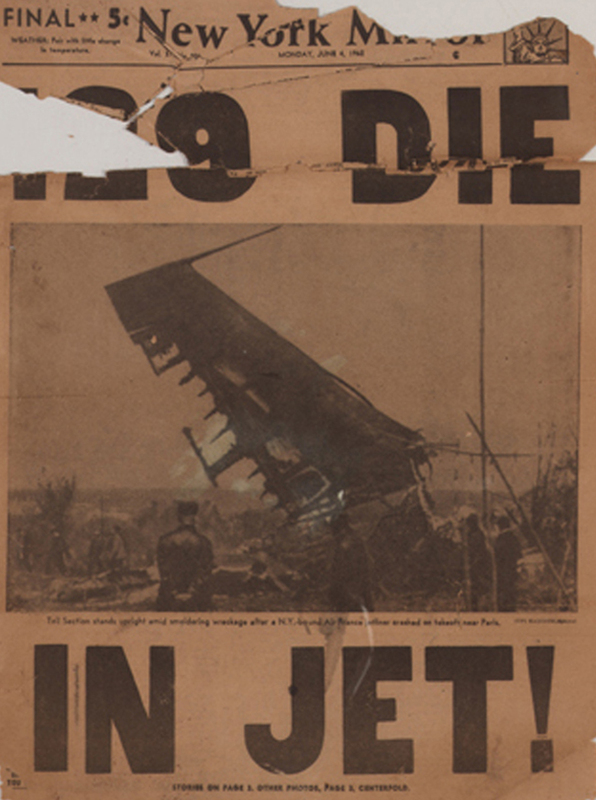 296 of the New York Mirror pictured below is the actual newspaper Geldzahler presented to Warhol that morning, and which Warhol with great acumen rendered that afternoon. Besides being one of the most incredible paintings I have ever seen (yes it is in fact a painting not a silkscreen, and under close scrutiny this is truly one of those painters’ paintings we hear so much about), I admire Warhol’s ability to listen to his friend’s suggestion. But Warhol’s true brilliance is in his decision not only to follow the spirit of his mentor’s suggestion–i.e. paint more dramatically charged subject matter, but the fact that he literally follows thorough in rendering exactly what he was handed. 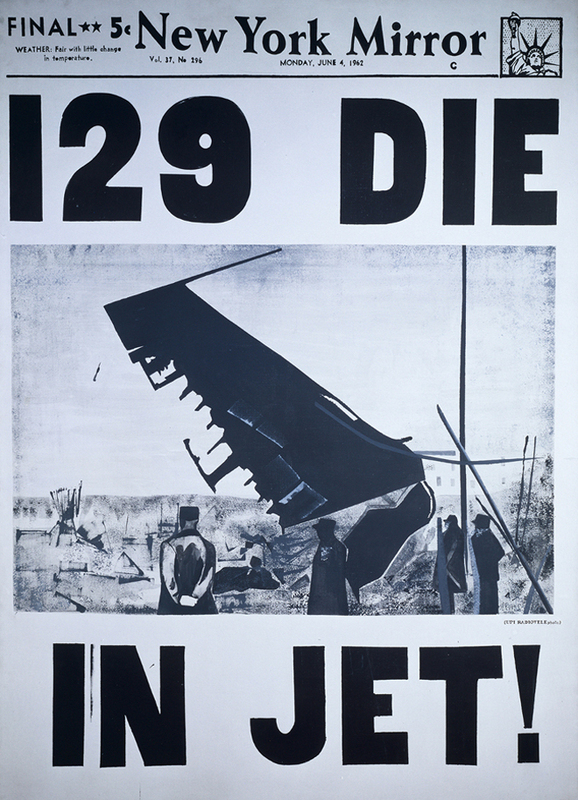 This act demonstrates not only a profound suspension of ego (most painters/artists like to call the shots) and an incredible willingness to accept constructive criticism, but a good measure of personal courage as well, for through this painting (experience), Warhol might have been confronting, reliving and re-feeling the “accidental” death of his father when he was 13. Death and disaster. Warhol would focused on this theme for the next year (Red Car Crash, Purple Jumping Man, and Orange Disaster). And if you would like the “official story” behind the Death and Disaster series, view this clip from PBS’s American Masters.